The input file is for an O( ) calculation (1 MD step) of the diamond including 8 carbon atoms. The computational time is 120 seconds using a Xeon machine (2.6 GHz). 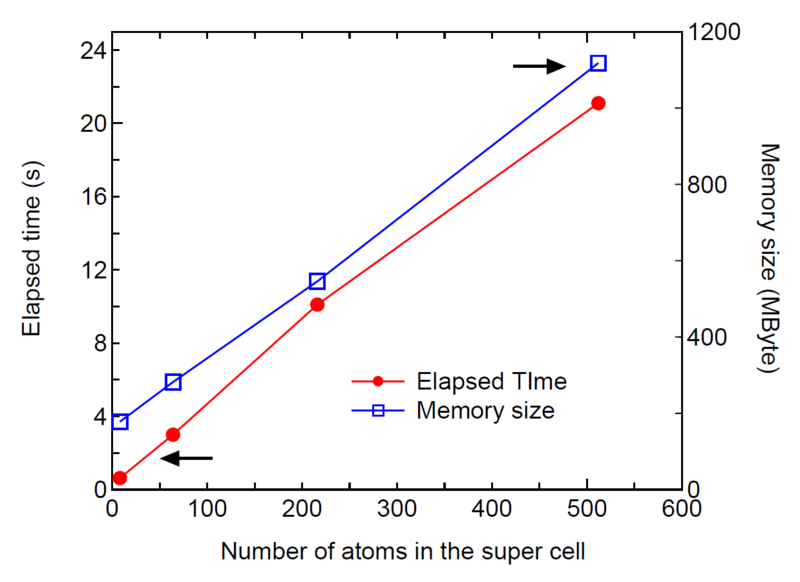 Figure 17 shows the computational time and memory size to calculate a MD step of the carbon diamond as a function of number of atoms in the supercell. In fact, we see that the computational time and memory size are almost proportional to the number of atoms. The accuracy and efficiency of the DC method are controlled by a single parameter: 'orderN.HoppingRanges'. To see an overall tendency in the convergence properties of total energy with respect to the size of truncated cluster, the error in the total energy, compared to the exact diagonalization, is shown as a function of the number of atoms in each cluster for (a) bulks with a finite gap, (b) metals, and (c) molecular systems in Fig. 18. We see that the error decreases almost exponentially for the bulks with a finite gap and molecular systems, while the convergence speed is slower for metals. 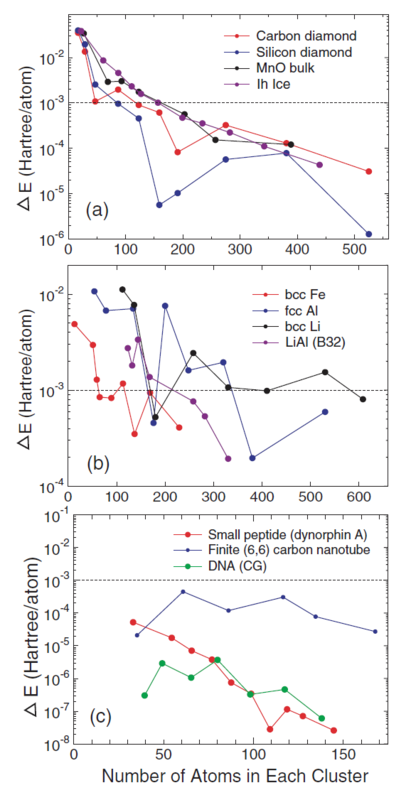 Figure 17: Elapsed time of the diagonalization part per SCF step and computational memory size per MPI process as a function of carbon atoms in the diamond supercell, where 16 processes were used in the MPI parallel calculations. C5.0-s1p1 was used as basis functions. For the DC method, orderN.HoppingRanges=6.0 (Å) is used. A Xeon machine (2.6 GHz) was used to measure the elapsed time. The input files are 'DIA8_DC.dat', 'DIA64_DC.dat', 'DIA216_DC.dat', and 'DIA512_DC.dat' in the directory 'work'. Figure 18: Error in the total energy of (a) bulks with a finite gap, (b) metals, and (c) molecular systems calculated by the divide-conquer (DC) method as a function of the number of atoms in each cluster. The dotted horizontal line indicates 'milli-Hartree' accuracy.